Fall: Appealing to All Senses! Do you ever hear a particular song or smell a certain scent and suddenly feel transported to a good memory? Our senses are SO important to the human experience! Each season seems to stimulate our senses in different ways. Yesterday, I asked my 12 year old if he’d rather live in a state that was always sunny and warm. He said no, because he feels lucky that we get to experience each season so prominently here in Maryland! Well, he didn’t say that in so many words, but I know that’s what he meant. He talked about loving being able to have snow, flowery Spring Easters, summer days at the pool, and chilly Halloween nights. Sights of reds, oranges, yellows and browns in the foliage, plants and pumpkins! Sounds of football games, the local high school band practicing, and school buses coming to pick up the kids! The feel of breezy Autumn days, soft sweatshirts, and leaves crunching under your feet. Scents of pumpkin, cinnamon, apple, crockpot comfort food, and that distinct smell of a fall rain. Tastes of candy corn, pumpkin anything, crisp in-season apples, bratwurst at an Octoberfest, and homemade soup! One of my favorite senses is obviously the sense of taste! 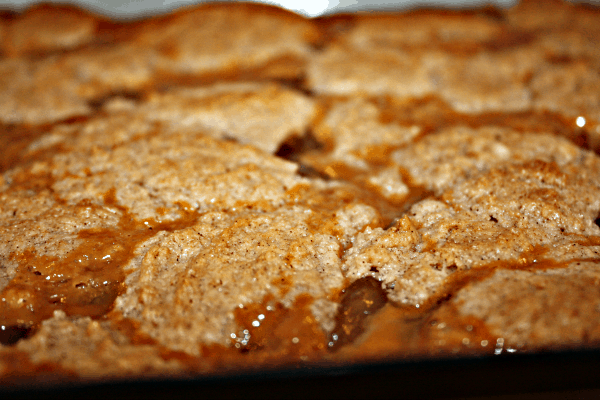 So, I decided to share a delicious recipe that I happened to find on Pinterest yesterday called Caramel Apple Dump Cake, posted by an awesome site called Wine and Glue! I mean, c’mon, anything that has caramels in the recipe has GOT to be deeelish! Spray a 9 by 13 inch pan with cooking spray and set aside. 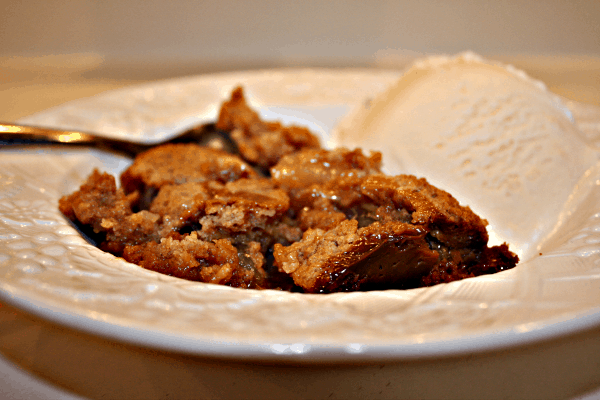 While the caramel is melting, mix together the cake mix and the cinnamon until fully combined. Then add the melted butter, the vanilla and the remaining 1/3 cup evaporated milk. Spread half of the cake mixture over the bottom of the 9 by 13 pan. Remove the pan from the oven, very carefully spread the apples over the cake mix. Pour the caramel over the apples and then top with clumps of the remaining cake mix. Bake for 20 to 25 more minutes or until the caramel at the edge begins to bubble and the cake at the edge begins to brown. Thank you for sharing! Fall is awesome, isn’t it? How yummy!! I know what I’m making for my family reunion Sunday.  Thanks girl! Oh good Pam! It’s fairly easy and delish! 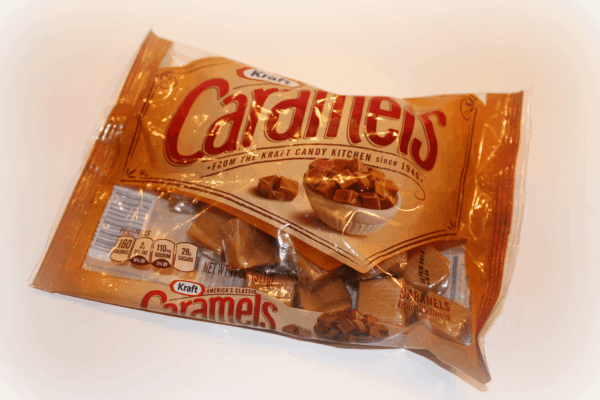 Yes – the caramels make it SO good! Yum, I just printed this out. Dad will love it!!!!! Sounds easy too! Oh good! It was easy! Let me know what you think!